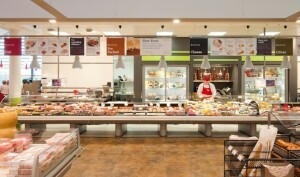 At Booths, we excel at offering our customers a range of food and drink made by people with passion and skill. We are extremely proud of the relationship we’ve built with our suppliers – it’s one built on trust, integrity and an unwavering commitment to quality. With your help, we aim to offer our customers the best possible products we can find. We acknowledge that as a commercial organisation we need to make a profit, but we take steps to ensure that this isn’t at the expense of supplier sustainability or customer satisfaction. We’ve adopted an honest and fair approach with all our suppliers, sharing sales information to build a long-term relationship based on trust.